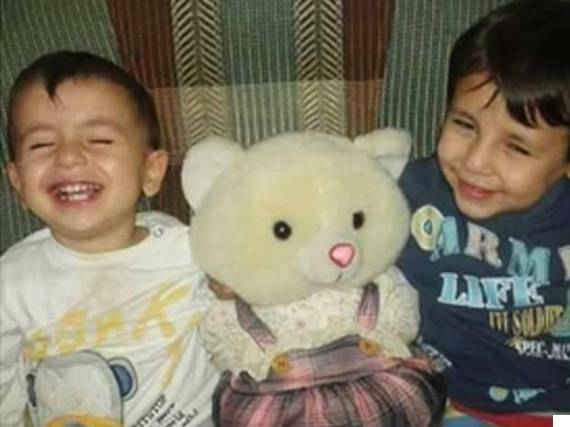 Aylan Kurdi (left) and his brother Galip (right), who died fleeing war and persecution. This made me want to cry. If this does not break your heart you haven’t got one. Imagine if these children were your son or daughter. Young lives lost forever, so tragic, so sad. The UK needs to take action now! All these people want is somewhere for their children and themselves to be safe, to have the opportunity for a peaceful and fulfilled life just as we all do. I don’t fully understand what is happening in the middle east but know we cannot take everything at face value, the only thing any of us can be sure of is that innocent people are suffering and need help, a sanctuary, a safe haven from the turmoil of war. If you are not familiar with this awful tragedy, though I rather think there are few who aren’t, please read the information from the Huffington Post. Most importantly please take action by signing as many of the following petitions as you can, contacting your MP and David Cameron (contact details further down). Please everyone, including non UK residents, take as much action as you can. Cameron is rather reluctant to do his part, at least compared to Germany which has taken in over 800,00 , Turkey over 1.8 million, Jordan 600,000 and 1 million to Lebanon – a country whose population is just 4 million. Please sign the following petitions. These are simple quick sign petitions pleases sign as many as you can. 80 Syrian war refugees are waiting in Calais for their rightful and legal asylum in the UK! Please open the border for them! Scroll down for Cameron’s and MPs contact details including twitter and e-mail and other ways you can help. “Lying facedown on the shore of a Bodrum beach this haunting image of a drowned Syrian toddler illustrates the perilous risks, and heartbreaking consequences, of the journey tens of thousands of migrant families have undertaken, chasing a better life in countries shuffling responsibility for taking them in. Yvette Cooper, Shadow Home Secretary, who made a desperate plea on Tuesday for towns and cities up and down the country to each take in ten migrant families, said: “When mothers are desperately trying to stop their babies from drowning when their boat has capsized, when people are being left to suffocate in the backs of lorries by evil gangs of traffickers and when children’s bodies are being washed to shore, Britain needs to act. Liberal Democrat leader Tim Farron told The Independent “enough is enough”. 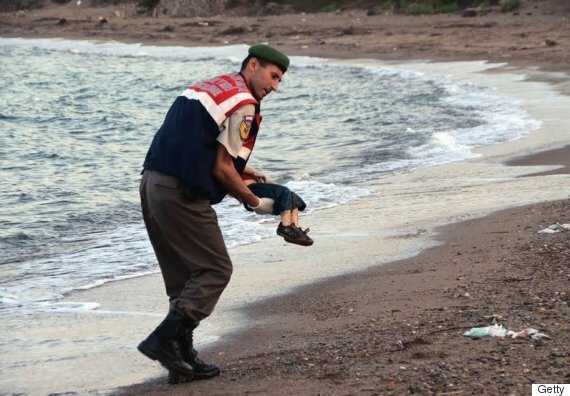 So David Cameron, is this dead Syrian child one of the ‘swarm’ of migrants you fear so much? “He looks asleep, far away in dreamland, as if he dropped off after a long day of play and fun, of tricks and naughtiness. His trainers are still on his feet. Did he pester mum and dad until they bought them? His red T-shirt and trousers have rolled up to reveal his tummy. I want to touch his soft, plump tummy, to hold him, wake him gently and dry him off.